A lot went into creating this piece. We created an 8 x 12 foot platform, covered it in white seamless paper and built a city. Once lit, the colors and shades really popped. 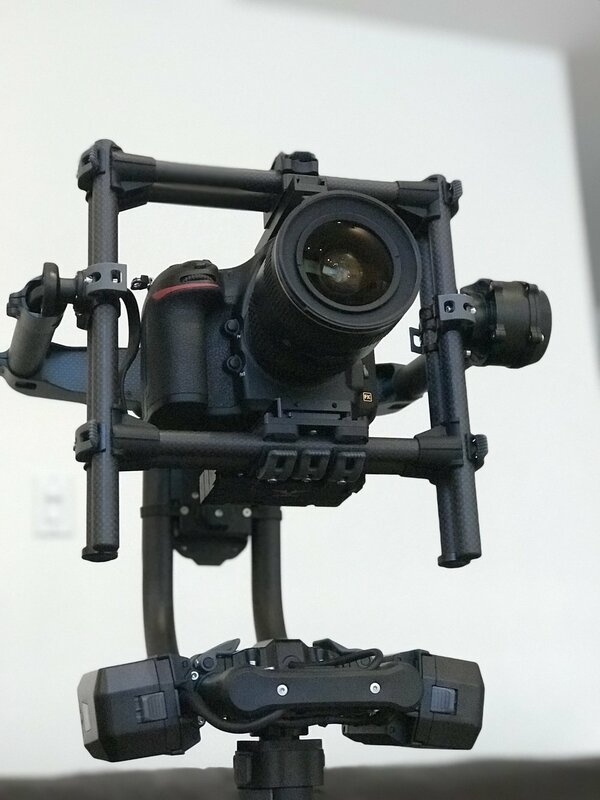 Added to the kit: the MOVI Pro! Amazing the moves that can be done with this unit. It carries up to a 15 pound camera build- I have used it with remote focus, anamorphic lens and and wireless video on several products to date. For a commercial for Taco Bell, I was asked to track back, and camera right, on a wide-angle macro lens, as if an aerial shot. I had the grips rig two original sliders (4’) perpendicular to one another, and hang the works upside-down. With the camera mounted upside-down and a skater scope attached to it, we were able to achieve an incredible move. Ultimately the shot was scrapped from the creative, but that’s life. It was fun putting it together. Here is a shot of the mystical Torngat Mountains in Labrador. This is a still from an 8k Red Camera, shot with Zeiss Otus 28mm lens. Recently some shots have called for circular camera moves- for this I employed the genius P + S Technik Skater Dolly and Skaterscope. This Skater Dolly system, with relative ease, permits the camera to rotate around a nodal point, and it’s very accurate and repeatable. The Skaterscope is a highly flexible periscope/ borescope that accepts select Cine lenses and makes framing low shots (among others) a cinch. I am constantly evolving and improving my tabletop skills, and love a challenging shot. This shot called for a tight shot on a relatively wide lens, then the camera to track back and track camera right, to reveal the food ensemble. We used two 4’ Original sliders, one mounted to the other, and both inverted and suspended by a pipe rig. The camera was rigged upside down as well, on a fluid head. Attached to the camera was P + S Technik Skaterscope, with a 20mm Zeiss Ultrprime. The result was excellent; smooth, repeatable move with great precision and style. Wide angle macro food shot achieved! Water droplets collect on this plant, shot with Nikon 105 Macro, D800. What a brilliant piece of gear- a vertical slider, easy straight up-and-down moves, and you can mount it on a small dolly or slider. Employed an amazing tool to achieve great moves with floor-scraping angles, the Parryscope, pictured here on a Straight Shootr jib arm, with a Lambda head, Arri Alexa Mini and Cooke S4's. A repurposed top handle provides a nice side handle grip. I love the flexibility of my Nikon 200-500 zoom. This shot was somewhere around 4-500mm focal length. Light trails from West Toronto, looking east. GoPro shot looking up with rising bubbles. Playing with the IPhone 7 camera this morning. Salon films in Hong Kong- great staff and extensive equipment available.